Grupo CELO was born from the initiative of two young entrepreneurs, Mr. Ceravalls and Mr. López in 1963, who saw the opportunity to offer precision screws to manufacturers of televisions, electronics and household appliances, a growing industry in the area of ​​Catalonia. It was a production of small screws, about 2 mmm diameter, with high quality standards due to the very demanding applications. A niche market compared to larger screws, starting at 3.5 mm, to fix wood or metal sheet. Over time the company has evolved adapting itself to the market changes, incorporating new product categories and expanding the technical and productive capabilities to multiple sectors of activity and applications. 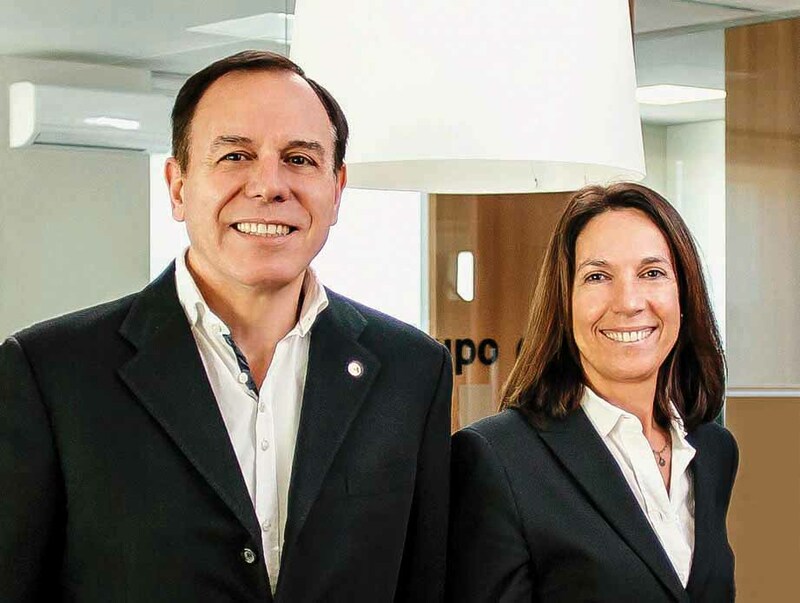 Today Grupo CELO is headed by Ramón Ceravalls and Nuria López, taking over from a generational family business in international expansion. Mr. Ceravalls and Mr. López founded CELO S.A. a small company in Poble Nou (Barcelona) to produce screws for local customers. Expansion to new production facility in Castellar del Valles (Barcelona). Achievement of ISO 9001 certification. Achivement of TAPTITE®, PLASTITE® and REMFORM® licenses. Construction of semi-automatic warehouse in Castellar del Valles, with capacity for 600 Million of pieces and surface of 5.000 m2. Acquisition of APOLO Company and business transferred to Castellar del Valles. Creation of CELO FRANCE SARL sales office in Lyon. Creation of CELO HUNGARIA KFT sales office in Környe. Creation of CELO POLSKA Sp zoo sales office in Lodz (Poland). Achievement of TORX PLUS® license. Construction of CELO SUZHOU plant in Taicang (China). Achievement of ISO/TS 16949 certification for Castellar del Valles manufacturing plant. Construction of logistic warehouse in Tarjàn (Hungary). Construction of logistic warehouse in Lodz (Poland). Creation of CELO TURKEY sales office in Bursa (Turkey). Achievement of ISO/TS 16949 certification for Suzhou mnaufacturing site. Creation of CELO sales office in Germany. New offices and building in APOLOMEA Befestigungssysteme GmbH in Aichach (Germany). New factory of metal profile in Castellar de Valles (Barcelona). Achivement of MAThread® y MATpoint® license. New sales offices and warehouse for CELO CİVATA TİCARET LİMİTED ŞİRKETİ in Bursa (Turkey). New offfices and logistic hub for CELO MEXICO S DE RL DE CV in Querétaro (México). New sales offices for APOLO USA in Miami (USA). Acquisition of the company TRIDENT Fasteners Inc. located in Grand Rapids, Michigan (USA).